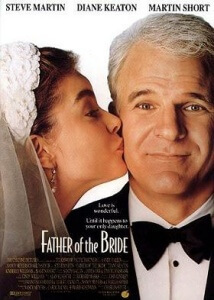 Do movies discredit Wedding Planners? In short, I think the answer is YES!! I absolutely love a good, fun light hearted movie. If it’s about weddings, then it is a must. I realise that to make a big blockbuster Hollywood movie, it has to be fun & interesting. But they certainly don’t help encourage people to book planners. 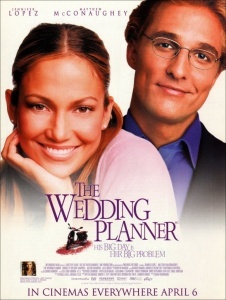 Lets start with the wedding planner. If I had a pound everytime someone says, is that you. ABSOLUTELY NOT!!! Let’s face it who wants to hire a planner that is going to run away with the groom. What a ridiculous idea. which I really like. But who wants a planner that takes over your day and you cannot understand what they are saying. 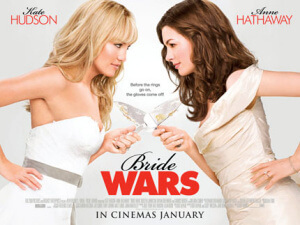 The icing on the cake is Bride Wars. It’s all about the demanding planner and then she books their dream venue on the same date. Oh dear! I real no no. Then of course the brides go into melt down. I’m not surprised, the planner is supposed to help relieve the stress not ADD to it. But I’d like to end with a real positive. Proof that Hollywood movies can be truthful and hilarious. None other than “Big Fat Greek Wedding” (My absolute fav wedding movie).